A new floor covering should make all your flooring dreams come true, and luxury vinyl flooring is an excellent way to get started. This floor covering not only gives you some of the most gorgeous styles and designs currently available, it offers a plethora of benefits as well, most of which will meet at least some, and probably all, of your needs. It’s a great choice for every room in your home, not just a few, which gives you the ability to create a seamless look throughout your entire home. At Christoff and Sons Floor Covering, we put all of our experience and training into making sure our customers reach 100% satisfaction. If you’re not happy, we’re not happy, and we’re going to do our best to not let that happen. We invite you to visit our showroom in Jackson, MI, so we can put our expertise to work for you. We’ve been serving the areas of Jackson, Chelsea, Albion, Adrian, and Hillsdale since 1979. We look forward to adding you to our list of satisfied customers as well. The options you have in luxury vinyl are nearly endless. Many homeowners choose it for the way it mimics all natural materials such as stone, tile, and solid hardwood flooring. Thanks to the 3D printing process, the image layer is a stunning, high resolution rendition of the real thing, right down to grain patterns, textures, and authentic grout lines. In these designs alone, the options for matching your existing decor are immense, and easy to accomplish. 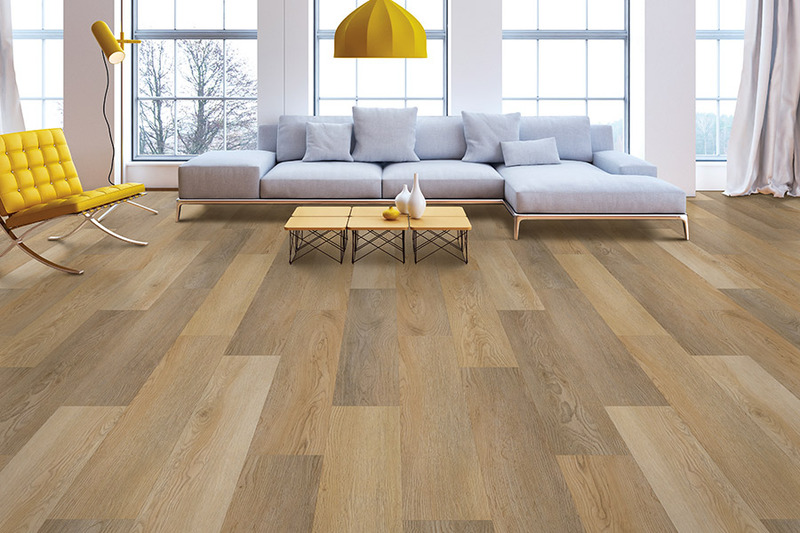 Luxury vinyl comes in both plank and tile options, with special characteristics in both. Planks come in sizes that are best suited for wood-look applications, while tiles are excellent for the stone and porcelain looks. Both are easily installed and quick and easy to clean and maintain. In fact, durability is a characteristic you’ll find, no matter what the product looks like. In this product line, you’ll also find waterproof products that are completely impervious to water damage of any kind. From moisture and humidity, to major malfunctions and even flood damage, you’ll have peace of mind you can’t get with another product. 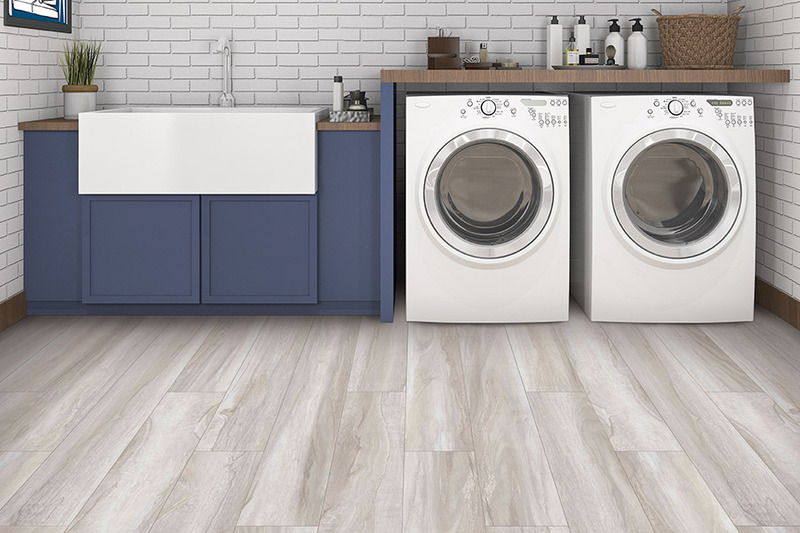 You’ll never have to worry about leaky pipes that may burst at any time, or any other water emergency, as these floors feature a 100% vinyl core. This means there’s no opportunity for the product to swell and damage your floors. 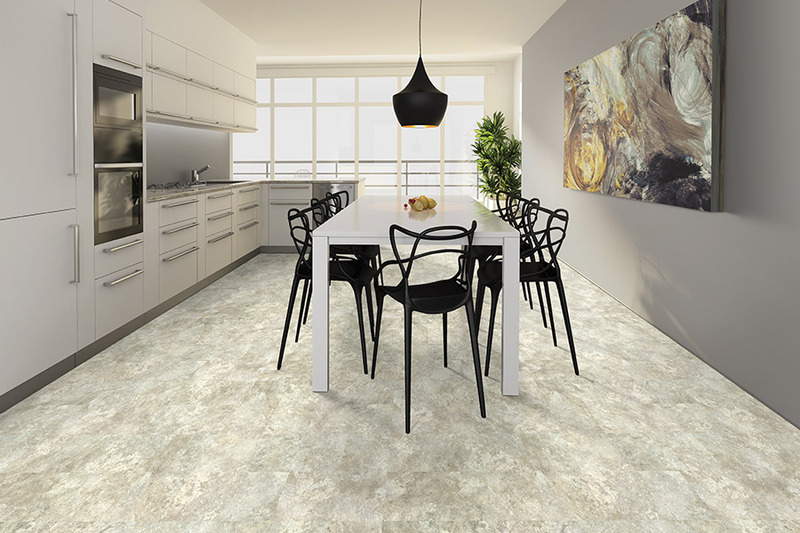 An increasingly popular and exciting choice for gorgeous homes everywhere, Luxury Vinyl Tile offers a unique visual, exceptional comfort and easy cleanability. 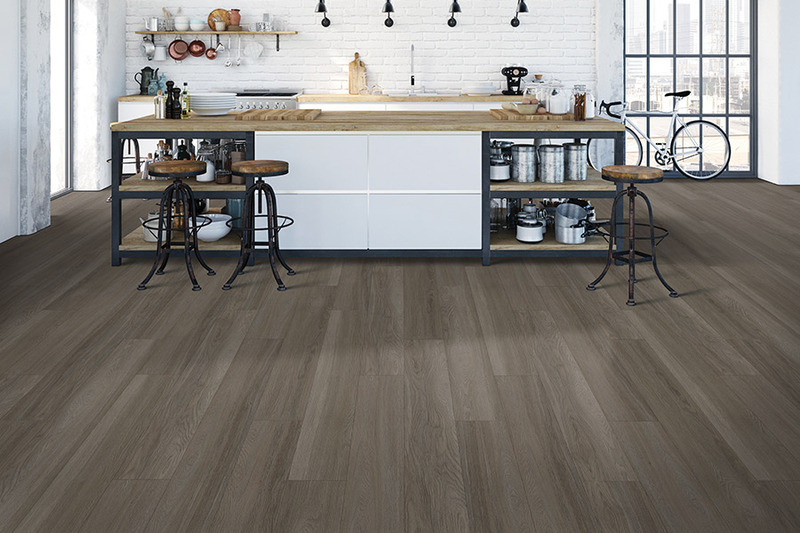 Luxury vinyl flooring makes a perfect, smart choice for your kitchen by providing ample cushioning and time-saving clean-up. Keeping a constant temperature during the cold and hot months, vinyl tile flooring is comfortable enough to walk on barefoot and stand on for hours while cooking. When it comes to a striking, chic appearance, luxury vinyl flooring takes a backseat to no other surface. 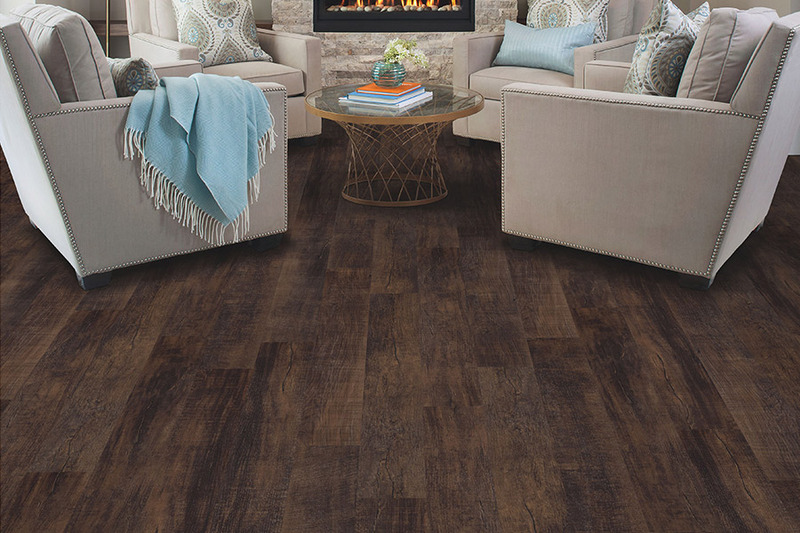 Featuring realistic hardwood and ceramic visuals, luxury vinyl tile flooring is available in a vast palette of rich colors and finishes to create a one-of-a-kind look for any room. 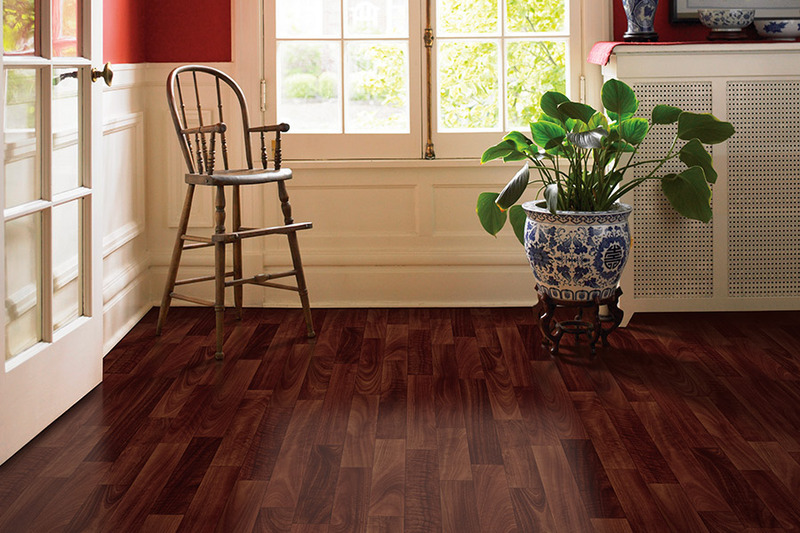 Luxury vinyl tile is durable and even grout-able…giving you wood and tile looks at an affordable price. Waterproof vinyl plank flooring is here! 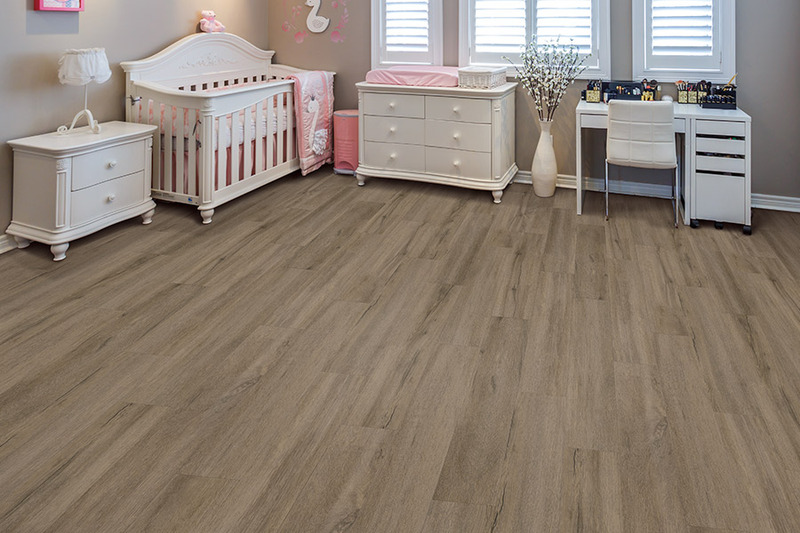 Our selection of vinyl plank flooring from manufacturers like COREtec, Solidtech and Adura Max is WATERPROOF. Unlike water-resistant floors and surfaces, we install our floors with a tight seal, making sure that all liquid and material stays on the surface, allowing for easy cleanup. Installation can be done with floating wood floors as well as floating vinyl plank flooring.